Sam Glover is the CEO and Editor-in-Chief of Lawyerist.com, an online magazine and reference manual for solo and small firm lawyers. He has written and spoken extensively about legal technology, marketing, management, and ethics, among other topics. In addition, he was a practicing lawyer from 2005 to 2011 for his own company, The Glover Law Firm, LLC, before he sold it to focus on representing tech startup companies. 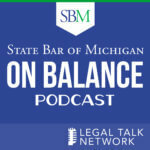 Mary Juetten and Sam Glover discuss the best ways to use data for law firm management and marketing. 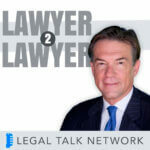 The website Lawyerist founder Sam Glover talks about getting attorneys information they want.